2. The Polish Army defended Warsaw from German invasion for 28 days before capitulating. France completely betrayed Poland despite a joint pact signed in 1939 to send the French army within 15 days of any German attack on Poland. Eighteen thousand Polish civilians were killed, and 140,000 Polish soldiers surrendered and were taken captive, most likely executed soon thereafter. 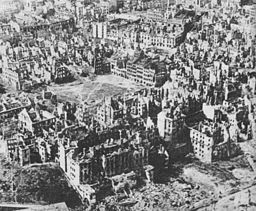 The Germans destroyed the city of Warsaw. Few buildings survived. 3. By the end of WWII, due to massive bombing by Germany, Warsaw lay in ruins, barely inhabitable by 1,000 people. The prewar population exceeded one million people. 4. The Germans chose Auschwitz as a primary killing center for purely logistical reasons. Among them, large tracts of land were cleared by evicting Polish farmers. From 1940-1942, Polish prisoners represented the majority of prisoners. In other locations, concentration camps were also built close to high concentrations of Jews to save on transportation costs. They were all built and designed by the Germans. They were constructed by slave labor. 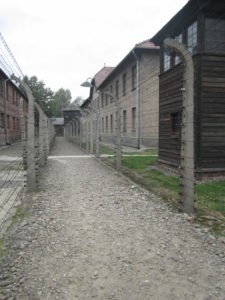 Double row of electric fence in Auschwitz. 4. Today, the Polish government is committed to preserving evidence of the Holocaust for future generations. The Auschwitz-Birkenau State Museum is one of three leading Holocaust institutions in the world. 5. 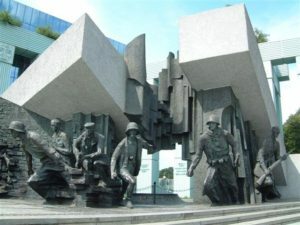 During the Warsaw Uprising of 1944, more than 150,000 Polish civilians lost their lives fighting the Germans. More than 26,000 Germans died before the Uprising was squashed. 6. Six million civilian Poles lost their lives in WWII. Three million Jewish, and three million primarily Christian. This includes a third of Poland’s cultural and intellectual elite: anyone with higher education such as academics, scientists, doctors, and half of all lawyers. 7. 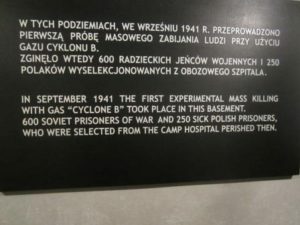 In Auschwitz, initial testing of Zyklon B gas was performed on ill Polish prisoners and Soviet POWs. 8. In March 1943, the Germans held a small celebration in Kraków to acknowledge the dispatch of the millionth Pole sent to Germany as slave labor. 9. During the war, Germans kidnapped some 200,000 Polish children to be sent back to Germany and raised as good Aryan Germans by foster families. Only 15-20 per cent ever returned to Poland. Few ever learned of their Polish heritage. 10. In Poland, if any Pole aided a Jew their entire family was executed. No other occupied country had such a stiff penalty. And yet, Yad Vashem recognizes more than 6,700 Poles as Righteous Among the Nations for saving Jews, more than any other country. Misinformation, Propaganda, and More Betrayal After World War II. Blame Churchill and Roosevelt. At the end of World War II, Poland suffered the ultimate betrayal by her two strongest allies – Great Britain and the United States. 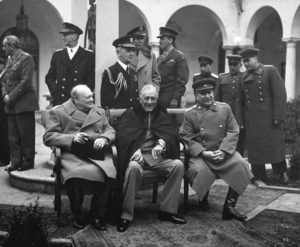 Winston Churchill, Franklin Roosevelt, and Jozef Stalin met twice before the war’s end, and agreed that the spoils of war to Russia included Poland, without ever consulting or informing the Polish government exiled in London. There were two key consequences. First, Stalin forbid the teaching of Polish history, Polish heroes, and Polish suffering for three generations. Stalin also executed any surviving Polish patriots after the war. Secondly, Britain and the United States, in deference to Jozef Stalin, never reported the huge extent of Stalin’s crimes, leaving the West ignorant of half the war fought in Poland. In Great Britain, that also meant that the more than 200,000 Polish members of the Polish Armed Forces who fought fiercely with the British High Command against Germany, were not permitted to march in the Victory Parade on June 8, 1946. Conversely, representatives from 17 other allied countries marched in the huge parade. This huge insult is almost inconceivable yet it happened. It would be sixty years before Britain included Poles in the annual victory parade of 2005. There are many more examples of German crimes and other injustices against the Polish people. It is also historical truth that anti-Semitism was a serious problem in pre-war Poland, as it had been for decades in many countries. Remember the Vichy government in France? Terrible pogroms were committed against Jews by anti-Semitic Poles even after the war, and it is these incidents used so often to paint all of Poland as anti-Semitic and equally guilty. I do recognize that for many Jews, that is their true and only experience of the war. However, the actions of a number of Polish citizens were not the actions of the entire country or of the government in exile. In the face of extreme racism, does that mean every citizen is racist and shares full blame for all citizens? If so, then as an American I am also guilty of slavery, insidious racism, lynching, anti-Semitic crimes, interning of Japanese-Americans during WWII, and the genocide of Native Americans. Every country has its ugly side but that is never the entire truth. 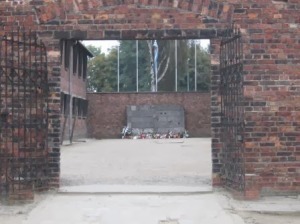 This entry was posted in Auschwitz, German Concentration Camps, Holocaust, Polish History, World War II - Europe by Katrina Shawver. Bookmark the permalink. Your point is well taken, and you are correct – Hitler and Stalin wanted to incorporate all of Poland into their countries. I will have to look up the book Bloodlands. Thanks for the referral! Katrina is correct in her assessment of the role Poland played in WW2, the Holocaust, and post war history. Thank you Katrina, for your calm and rational response, backed by facts. However, you do realize, don’t you, that this is not a rational debate, and facts count for nothing. I wish this were not so, but please be prepared to be called a Holocaust denier and anti-Semite for propounding your pro-Polish message. Sadly, this has been the fate of many of us over the years and recent events have let loose and emboldened many anti-Polish bigots to spew their deliberate or ignorant falsehoods. Thanks Stefan, good to hear from you. Surprisingly, on a one-to-one basis I am finding interest from multiple sectors, for a different side of history. I term it the ‘shared’ history of Poland. I have several speaking upcoming speaking engagements with Jewish organizations who are genuinely interested, including a genocide awareness conference. My stance is that HENRY is also a witness to the Holocaust, an era of history I will work to make sure is never forgotten. Thank you for setting the facts in such a succinct way so that it is fully understood why the current Polish government is so adamant about getting this point across to the world!! You’re most welcome, and thank you for your words. Thank you for promoting this. I agree that a separate paragraph is needed showing Poland’s fate as manifested in “Mein Kampf”. One could say that there are two types of Holocaust deniers. Those who say that the Holocaust never happened and those who say it only happened to six million Jews and no one else. We need a study to find out if the 6 million number is correct. My understanding is that it was given by a Soviet officer and never backed up with statistics. Excellent points, Jan. While the post is limited in space to cover all issues, a longer one would include your points. I believe the number “six million” was first attributed back in 1964, long before we have the resources we have now, and before the Russian archives opened. Also with the work of Fr. Patrick DesBois in Ukraine, the numbers could be higher. One thing is for sure – it will always be a calculated estimate. Thanks for commenting. Excellent info Katrina! Thank you very much! Poland was a multi-ethnic state for many centuries with moments of general rapport and bad blood between Poles, ethnic Germans, Jews, and Ukrainians, among others. It appears that since WWII tensions with Germans and Ukrainians have abated, and one hardly hears in the West about Polish losses during the Ukrainian nationalist insurrection of 1942-44. One can only hope and pray that at this stage the refrain “accentuate the positive” will also be a watchword for Polish-Jewish relations. Thank you for your excellent comment. I share your hope.